My Jewishly oriented attention was captured – and in short order captivated – by a five-part series in the Jerusalem Report, written by its senior editor, Amotz Asa-El. His crisply written essays, released between July and September, are chockablock with thought-provoking, even startling, ideas about the state of the Jewish People in both Israel and the Diaspora – as we were, as we are, as we will be. Asa-El organizes his insights around five themes. Jewish space: The big news here is that a “spectacular demographic transition” will shortly see more Jews living in Israel, rather than the Diaspora, for the first time since 586 BCE. Hebrew University’s Sergio DellaPergola, an expert on Jewish demographics, claims that by 2030, “most of the Jewish nation will be living in the State of Israel.” For context, in 1948, only 600,000 of the world’s 11.5 million Jews lived in Israel (5.2 per cent of world Jewry); by 1967, there were 2.4 million (<20 per cent); and in 2012, the number hit 5.9 million (42.9 per cent). While Diaspora Jews marry outside the religion at a higher rate (now up to 58 per cent) and produce under-replacement numbers of children, Israeli Jews are more apt to marry other Jews and breed buoyantly, with even secular Jews producing 2.5 children per family. Moreover, many Diaspora Jews “inhabit no Jewish space” – neither a Jewish neighbourhood, school, synagogue or even cemetery – while even secular Israelis are inherently Jewishly affiliated. A nation that was famous for its dispersal will, as Asa-El puts it, “now be a people solidly anchored in its ancestral land,” which will have seismic consequences for Diaspora-Israel relations. Solidarity: “Jews’ historic commitment to each other is eroding,” writes Asa-El. Oh yes, there have been divisions amongst Jews since time immemorial, but the situation today is especially dire. Ironically, one of the primary causes for our strained solidarity is the absence of oppression (though not of anti-Semitism). The Soviet Union released its Jews. Ethiopian Jews were airlifted to Israel. Syria’s 5,000 Jews were freed. Nowhere today are Jews in need of literal liberation. READ: CHARITY. TZEDAKAH. WHAT’S THE DIFFERENCE ANYWAYS? 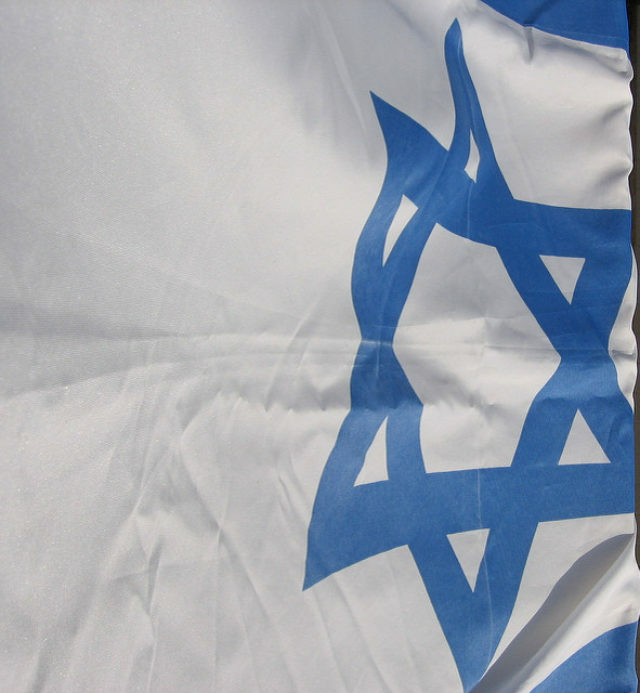 Moreover, in spite of external pressures, Israel is thriving, according to all the standard criteria, so Diaspora Jews no longer perceive their support as critical. It’s true that philanthropy from, and the sale of Israel Bonds to, the Diaspora adds up to US$3.4 billion ($4.3 billion) a year, but that’s not even one per cent of Israel’s GDP. The less dependent Israel becomes on the Diaspora, the more indifferent, and even hostile, Israeli Jews may become toward the rest of us. Faith: For millennia, all Jews shared the same faith. Then along came Spinoza, the Enlightenment and Reform Judaism. Most Jews now ignore rabbinical law. Diaspora Judaism’s several branches are either stagnating intellectually (ultra-Orthodoxy) or shrinking, apparently “slowly but steadily evaporating.” Today’s faith crisis is about “Jews losing faith, Judaism losing Jews and Israel losing the Diaspora,” Asa-El argues. Hate: This is familiar ground. Anti-Semitism has morphed into anti-Zionism, and the Arab world is aflame with Judeophobia. To transcend the Arab world, anti-Semitism had to be rhetorically “adjusted” from overt Jew hatred, to anti-Zionism. The 1967 Six Day War was a pivotal moment. Afterwards, a miffed French President Charles de Gaulle told 900 journalists and 200 diplomats that the Jews were “an elite people, domineering and sure of themselves,” with a state that was “determined to expand” – a statement that legitimized the defamation of Israel “in polite society,” according to Asa-El. Genius: Jews are smart. Asa-El proposes that “Jewish genius may now hold the key to reinventing the future of the Jews.” I love his policy proposal so much that I’m not going to reveal it. Please read the whole five-part series. You’ll thank me.